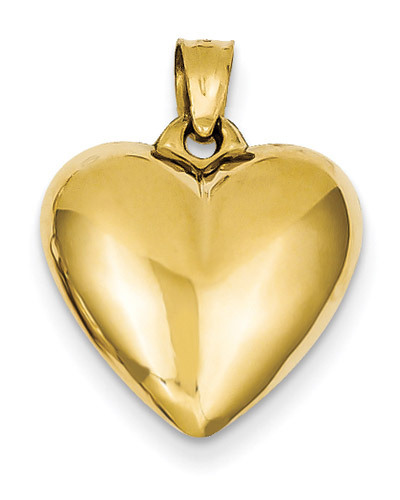 14K gold polished plain puffy heart pendant. Heart measures approx. 5/8" wide x 13/16" tall with hoop. Gold weight: approx. 1.15 grams.